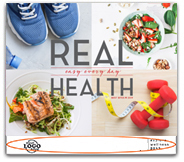 This best-selling 2019 wall calendar features simple food and fitness swaps. Reviewed by registered dietitian and certified fitness adviser. 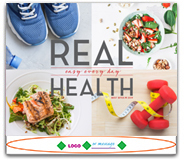 Includes pull-out poster featuring fitness tips for at work, home or on the go. Monthly tips for quick fitness and nutrition takeaways. Areas to track daily calories burned, blood pressure and vital signs. Content reviewed by Personal Best wellness board of advisers.